Cold War-era enemies U.S. and Russia together hold about 93 percent of the world's nuclear weapons and appear determined to keep sizable numbers of such weapons of mass destruction in the foreseeable future, a SIPRI think-tank report said. Five years after U.S. President Barack Obama set out a vision of a world without nuclear weapons, an annual report by the Stockholm International Peace Research Institute, or SIPRI, made clear just how distant that goal remains. While there has been a steady decline in the number of nuclear warheads in the world over the past five years, nine countries still had a total of 16,300 such weapons in early 2014 — down by around 5.6 percent from the previous year — of which some 4,000 were operational. And the pace of reductions seems to be slowing compared with a decade ago, the Swedish think-tank said. "Once again this year, the nuclear weapon-possessing states took little action to indicate a genuine willingness to work toward complete dismantlement of their nuclear arsenals," wrote SIPRI researchers Shannon Kile and Phillip Patton Schell. The reductions in U.S. and Russian nuclear weapons — which together account for 93 percent of the world total — under the New Start treaty ratified in 2011 were the main factor behind the decline in global numbers. The U.S., Russia, France, Britain and China are the world's five officially recognized nuclear weapons states. The four others are outside the global Non-Proliferation Treaty, designed to prevent the spread of atomic arms. Non-nuclear weapon states often criticize the five for not sufficiently living up to their part of the central bargain of the 1970 NPT, when nations without atomic bombs pledged not to seek them and nuclear states agreed to pursue disarmament talks. The U.S. and Russia "have extensive modernization programs under way for their remaining nuclear delivery systems, warheads, and production facilities", the SIPRI report said. The nuclear arsenals of the others are considerably smaller, but they are "either developing or deploying new weapons or have announced their intention to do so." Israel is widely assumed to be the Middle East's only nuclear-armed power, drawing frequent Iranian and Arab condemnation. Israel for its part accuses Iran of developing a capability to assemble such arms, a charge Tehran denies. However, his aim has produced mixed results so far, not least because of a plan by the U.S. and NATO to build an anti-missile shield around Western Europe, which Russia has said could erode its nuclear deterrent. 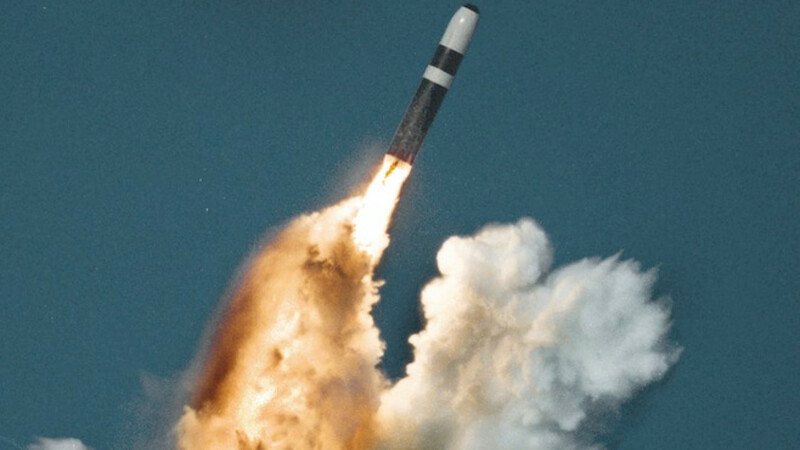 "Russia is in the middle of a broad upgrade of its strategic nuclear forces that over the next decade will retire all Soviet-era inter-continental ballistic missiles," SIPRI said. "There is an emerging consensus in the expert community that North Korea has produced a small number of nuclear weapons, as distinct from rudimentary nuclear explosive devices," it said. While North Korea has long boasted of making strides in acquiring a "nuclear deterrent," there had been general scepticism that it could master the step of miniaturizing a nuclear warhead to mount on a ballistic missile. However, SIPRI said there was "no public evidence to date that it has developed a sufficiently compact nuclear warhead or other key technologies for a nuclear-armed ballistic missile."